Seashell Size 1" - 2 ¾"
Hermit crabs love tapestry turbo seashells as you can see from the pictures. 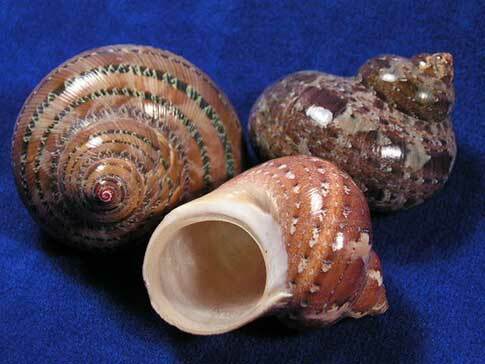 Tapestry turbo hermit crab shells are usually brown but can sometimes have green accents. These sturdy shells have round openings with mother of pearl inside. They're completely natural, no paint!